What is Tenrikyo and the Joyous Life? Tenrikyo is a monotheistic religion originating in Japan. Its central principle is striving for and embracing a state known as the Joyous Life which is believed to be the original and intended state of mankind. Founded in the 19th century, it is commonly considered a new religious movement. Followers of Tenrikyo describe their deity as God the Parent, with the name Tenri-O-no-Mikoto. The parental imagery stresses the love that the deity has for his children (humanity). It also emphasizes the sibling status that all humans have with each other. Tenrikyo was founded by Oyasama who was born Miki Nakayama. In 1838, she had a revelation and it's said that her mind was replaced with that of God the Parent. Thus, her words and actions were the words and actions of God the Parent and she was able to teach others how to follow the Joyous Life. She lived in that state for another fifty years before dying at the age of ninety. Oyasama wrote the "Ofudesaki, The Tip of the Writing Brush." It is the primary spiritual text for Tenrikyo. It is believed that she would 'take up her writing brush' whenever God the Parent had a message to send through her. The volume is written in 1711 parts that primarily use waka verses. Similar to haiku, the waka are written in a syllable pattern. Rather than haiku's three-line, 5-7-5 syllable formula, waka is written in five lines and use a 5-7-5-7-7 syllable pattern. It's said that only two verses in the "Ofudesaki" do not utilize waka. Tenrikyo was, for a time, recognized as a sect of Shinto in Japan. This was necessary due to the inter-relation between government and religion in Japan so that the followers were not persecuted for their beliefs. When the State Shinto system was dismantled after World War II, Tenrikyo was once again recognized as an independent religion. At the same time, many of the Buddhist and Shinto influences were removed. It continues to use a number of practices that are clearly influenced by Japanese culture. Self-centered thoughts are considered contrary to the Joyous Life. They misdirect people from how they should properly behave and enjoy life. Hinikishin is a selfless and thankful action one can show toward his fellow human beings. This helps to banish self-centered thoughts while celebrating the love of God the Parent through assistance to other members of humanity. Charity and kindness have long been a practice among followers of Tenrikyo. Their development of orphanages and schools for the blind were noted while still associated with Shinto. This sense of giving and the betterment of the world is continued today. 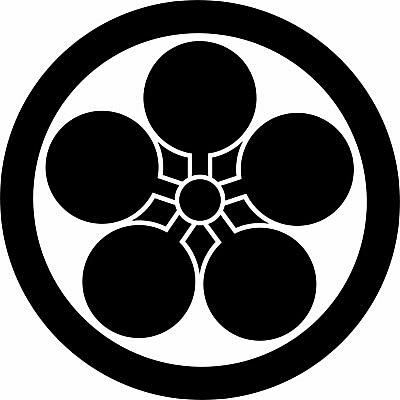 Many Tenrikyo practitioners have built hospitals, schools, orphanages, and been fundamental in disaster relief programs. Followers are also encouraged to remain optimistic in the face of hardship, continuing to strive forward without complaint or judgment. It is also not uncommon for those who follow Tenrikyo to also hold Buddhist or Christian beliefs. Today, Tenrikyo has over two million followers. Most live in Japan, though it is spreading and there are missions throughout Southeast Asia as well as the United States and Canada.